Arthur Schopenhauer claimed that phenomena have no free will, but the will as noumenon is free. A will itself cannot be willed because it is the first cause of a causal chain. A first cause is a starting point. Anything can be willed would not be a first cause. For any formal system strong enough to include the system of arithmetic, to prove its consistency, you need a stronger system. The meaning of the phrase “counterfactual definiteness” in quantum mechanics or Bell’s theorem is not the same as that in the superdeterminism theory. They are two different concepts. In the superdeterminism theory, no non-local wave function collapse effect is needed, as all are pre-programmed, including the experimenters’ choices of measurement axes. Superdeterminism assumes that the world is classical and classically deterministic. In such a situation, it is counterfactual definite in a sense that there is no quantum superposition. A system has a definite classical state even before any measurements. 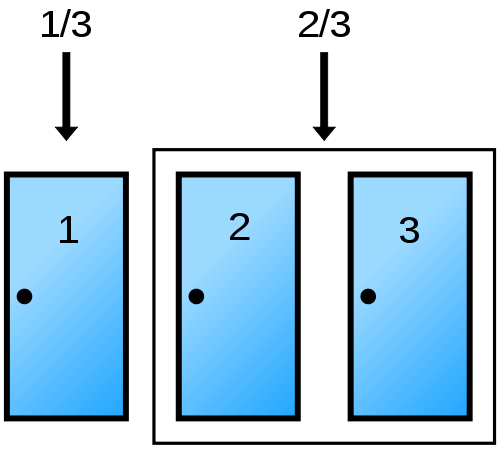 Bell’s theorem assumes that the types of measurements performed at each detector can be chosen independently of each other and of the hidden variable being measured. In order for the argument for Bell’s inequality to follow, it is necessary to be able to speak meaningfully of what the result of the experiment would have been, had different choices been made. This assumption is called counterfactual definiteness. But in a deterministic theory, the measurements the experimenters choose at each detector are predetermined by the laws of physics. It can therefore be argued that it is erroneous to speak of what would have happened had different measurements been chosen; no other measurement choices were physically possible. 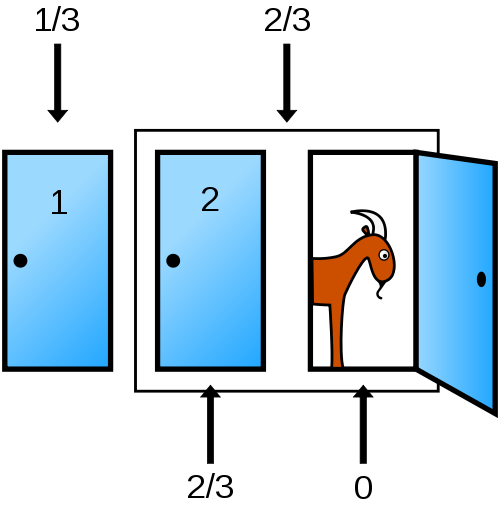 while the other two doors have 1/3 chance each, for a combined 2/3 chance. 2/3 for the still unopened one and 0 for the one the host opened. The no-communication theorem thus says shared entanglement alone can not be used to transmit any information. Compare this with the no teleportation theorem, which states a classical information channel can not transmit quantum information. (By transmit, we mean transmission with full fidelity.) However, quantum teleportation schemes utilize both resources to achieve what is impossible for either alone. * Writers may be classified as meteors, planets, and fixed stars. A meteor makes a striking effect for a moment. You look up and cry “There!” and it is gone forever. Planets and wandering stars last a much longer time. They often outshine the fixed stars and are confounded by them by the inexperienced; but this only because they are near. It is not long before they must yield their place; nay, the light they give is reflected only, and the sphere of their influence is confined to their orbit — their contemporaries. Their path is one of change and movement, and with the circuit of a few years their tale is told. 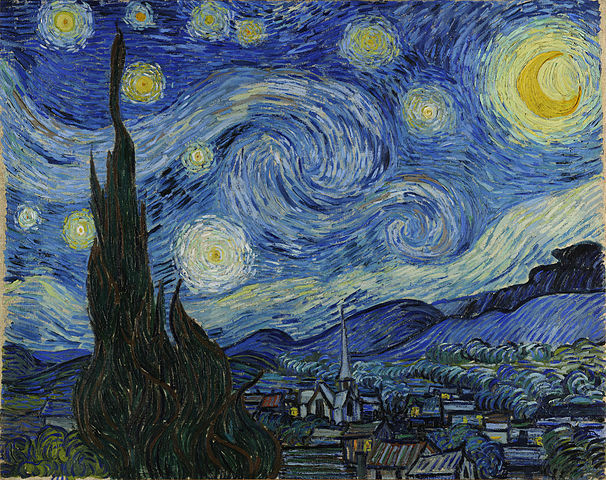 Fixed stars are the only ones that are constant; their position in the firmament is secure; they shine with a light of their own; their effect today is the same as it was yesterday, because, having no parallax, their appearance does not alter with a difference in our standpoint. They belong not to one system, one nation only, but to the universe. And just because they are so very far away, it is usually many years before their light is visible to the inhabitants of this earth. 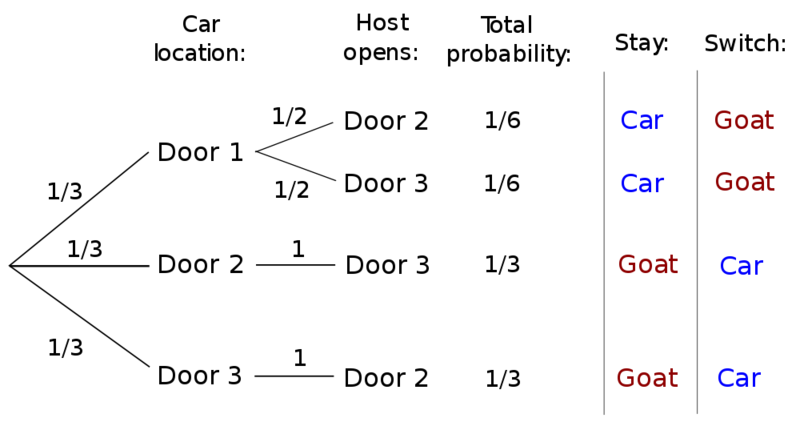 Bell’s theorem states that if Bell’s inequality is violated by experimental results, then the original quantum mechanics is correct in a sense that no local hidden variable theory is possible to replace it. Nature is either non-local or non-counterfactual-definite (or both). There are two possible meanings of “locality” here. 1.1 The principle is correct in a sense that no causal influence can be faster than light. 1.2 The principle is incorrect in a sense that distant particles can be entangled. Correlation without causation can be instantaneous. Assume that a pair of particles are entangled. Measuring one particle will collapse the wave function, which governs both particles, instantaneously. 2.1 It is correct in a sense that an object has a definite quantum state. 2.2 It is incorrect in a sense that, more often than not, the definite quantum state is not corresponding to a definite classical state (aka eigenstate). Instead, that quantum state is a superposition of different eigenstates. In the context of quantum mechanics, superdeterminism is a term that has been used to describe a hypothetical class of theories which evade Bell’s theorem by virtue of being completely deterministic. Bell’s theorem depends on the assumption of [non-] counterfactual definiteness, which technically does not apply to deterministic theories. It is conceivable, but arguably unlikely, that someone could exploit this loophole to construct a local hidden variable theory that reproduces the predictions of quantum mechanics. … in a deterministic theory, the measurements the experimenters choose at each detector are predetermined by the laws of physics. It can therefore be argued that it is erroneous to speak of what would have happened had different measurements been chosen; no other measurement choices were physically possible. Since the chosen measurements can be determined in advance, the results at one detector can be affected by the type of measurement done at the other without any need for information to travel faster than the speed of light. Even if there are no other physical possibilities for a measurement choice, there are other logical possibilities. The goal of quantum mechanics, or science in general, is to consider, for an identical system, what input results what output. The problem of superdeterminism in quantum mechanics is not “claiming the observers’ action are deterministic”, but by claiming so, claiming also that there is no decoherence (wave function collapse). When we say that the observer cannot be separated from the observed, we mean that we have to consider the whole (observed + observer), instead of shifting the system from the observed to the observer, and then ignoring the original observed itself. Praying is for slowing down your thinking, for most monsters are generated by your own mind. Any formal system strong enough to include arithmetic unavoidably has self-references. Seen by itself the David’s body might be some unusually taut and vivid work of antiquity; it is only when we come to the head that we are aware of a spiritual force that the ancient world never knew. I suppose that this quality, which I may call heroic, is not a part of most people’s idea of civilisation. It involves a contempt for convenience and a sacrifice of all those pleasures that contribute to what we call civilised life. It is the enemy of happiness. And yet we recognise that to despise material obstacles, and even to defy the blind forces of fate, is man’s supreme achievement; and since, in the end, civilisation depends on man’s extending his powers of mind and spirit to the utmost, we must reckon the emergence of Michelangelo as one of the great events in the history of western man.